The SKB-8 is a shaped case that is part of the Economy line of cases with an EPS plush lined interior that provide an exceptional value for the price. 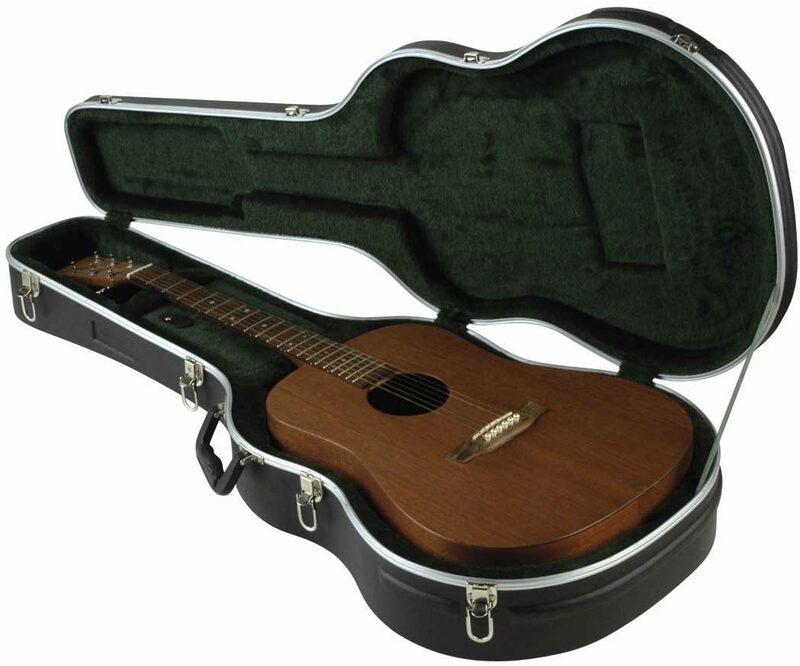 The SKB-8 case is designed to hold acoustic style guitars. "SKB 8 Economy Dreadnought Acoustic Case"
Overall: I have no issues with the product or the service I received from Zzounds.The case was exactly what I expected and the service of Zzounds was much more than I expected. A great company serving musicians with great products. "Great case at a great value price." Feature: Very durable and sharp looking. Highly protective to guitar finishes with the plush inside. Largeinner storage is great for capos, tuners, string, and picks. Quality: Fit standard acoustics with minimal gapping allowing for a snug fit for your guitar. Value: A great product at reasonably affordable price, especially with the name SKB!! !